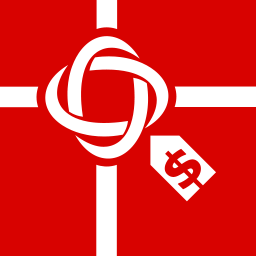 Gift List Budget Shopper lets you see what you're spending on who and what all year round. It's also a great shopping aid. Plan your shopping excursions ahead of time to save on time as well as money. Gift List Budget Shopper is the same functionality as the Gift List type found in the more extensive Listomni application from Gumball Labs. If you need a generic List tool, checkout Listomni instead! 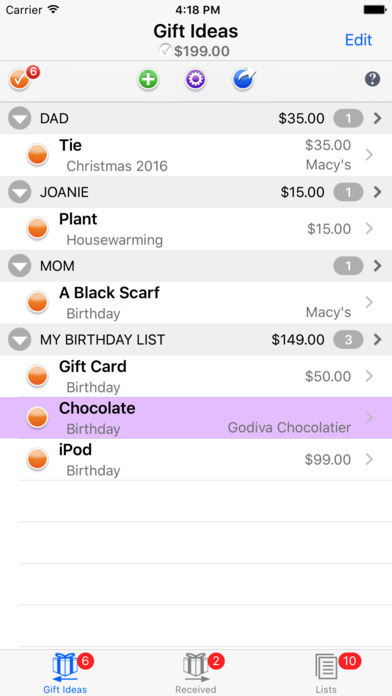 Easily track people, gift ideas, finances and stores. Tracks what you've spent against a budget. Setup Multiple Lists by Occasion, keep separate budgets for each one. Keep place holders for people you haven't gotten anything for yet. Integrated with Amazon for online product searches. Share lists via email... reimport lists sent to you. Preloaded with over a hundred national stores and their websites. 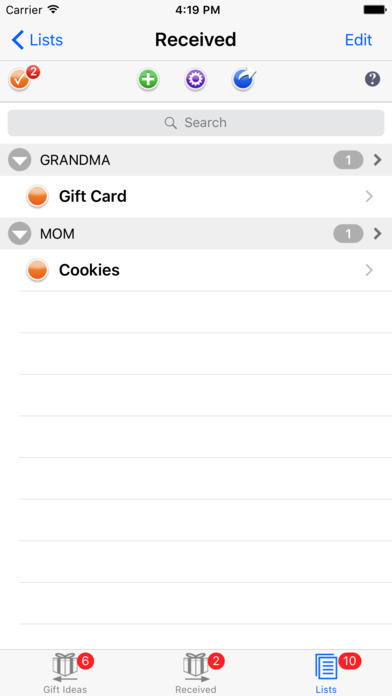 Organize your list how you want with customizable views... or pick from one of the preloaded views. 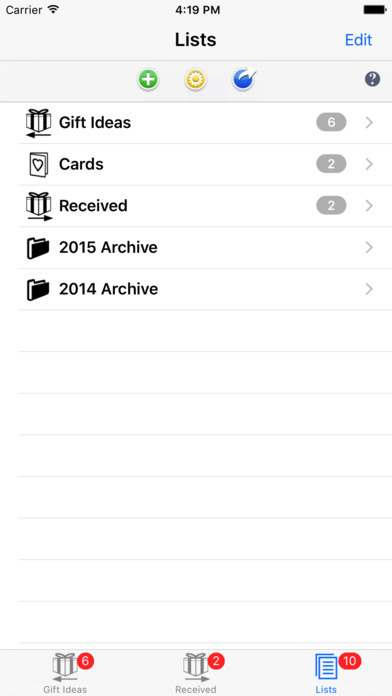 Keep track of Greeting Cards you've received and Sent. Keep track of Gifts you or your loved ones have received. Modify built in views of the list, or create your own. Views can group and sort differently and filter the list. Quick data entry.. we autocomplete as you type so you can save on precious key strokes. Alternately browse a dictionary of items or stores rather than typing at all. 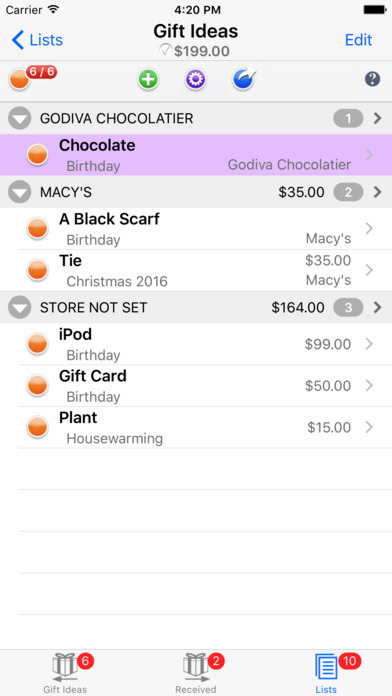 Get organized in your gift shopping this year with Gift List Budget Shopper!